We're a long way off from Ariel. The legendary creatures known as mermaids have existed in our stories for thousands of years, the earliest myths dating all the way back to ancient Syria. 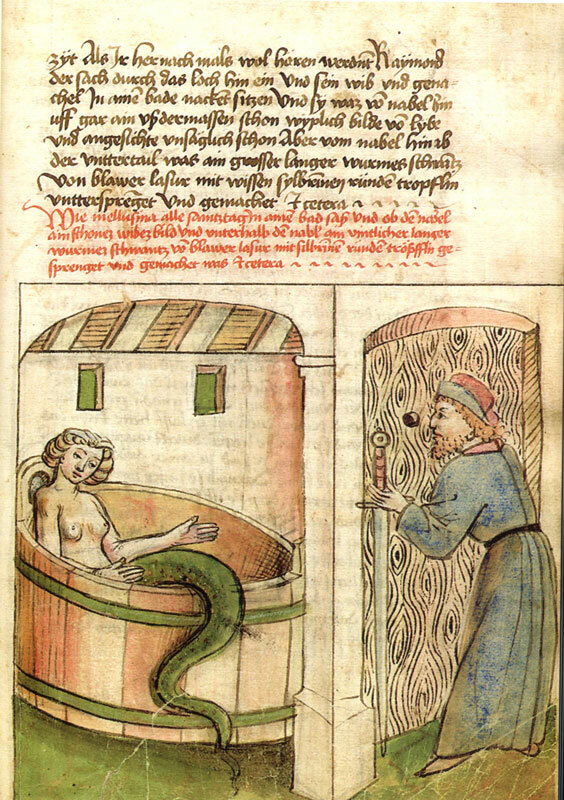 The first known mermaid was Atargatis, a fertility goddess who had a tail, much like that of a mermaid's. Mermaid myths are spread all over the world, and some of these are better known than others. These water spirits come in various shapes and forms. But some of these mermaids and water spirits are downright terrifying compared to the beautiful, magical creatures we think of today. Though today sirens are thought of being half human, half fish beauties, sirens originated in Greece in a very different form. 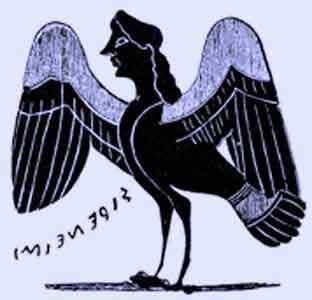 They were originally bird-like creatures with the head of a woman, appearing in such tales as The Odyssey. Despite their changed appearance, the myths of sirens singing men to their deaths has struck fear into the hearts of sailors for centuries. Scottish folklore tells of The Blue Men of the Muir, sea colored water spirits that would terrorize sailors. They would approach the sailors and ask them to answer a question. If it was answered incorrectly, The Blue Men were said to destroy the ships and drown the men inside. If you ever meet these watery guys, make sure you're ready for a pop quiz. 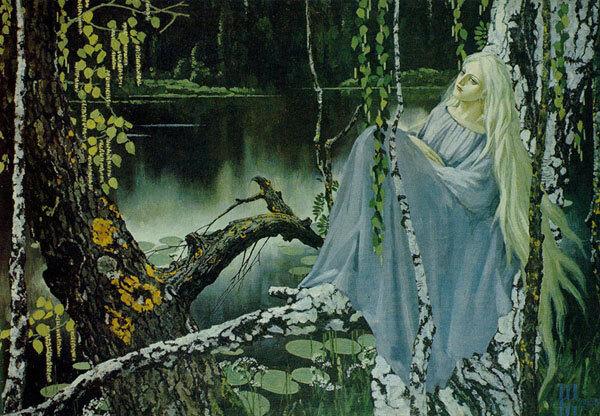 Straight from Slavic mythology, rusalka are the spirits of women who died through murder or suicide. Often said to have a ghostly appearance, they grow legs at night and walk around land. Be careful not to go near one though, as they are said to entice men and children to their watery graves. 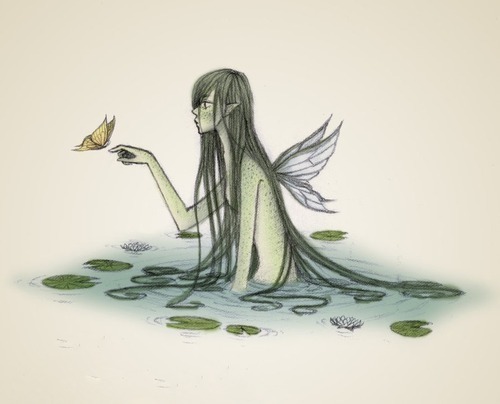 Straight from Welsh mythology, the asrai are water spirits that dance on ponds and lakes at night. 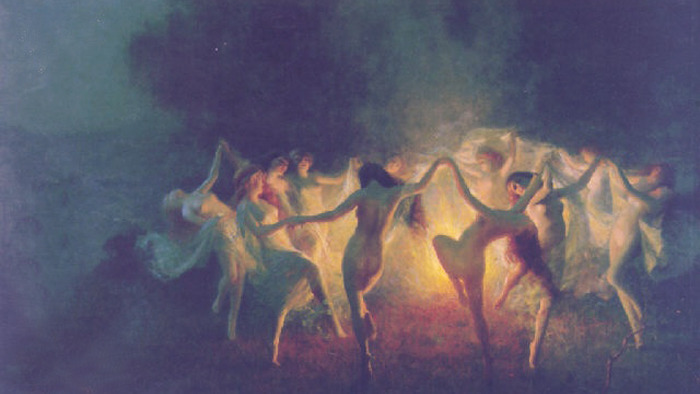 Their ghostly beauty can easily enchant men, but be very careful not to go near one. Their touch is dangerous and can burn you. 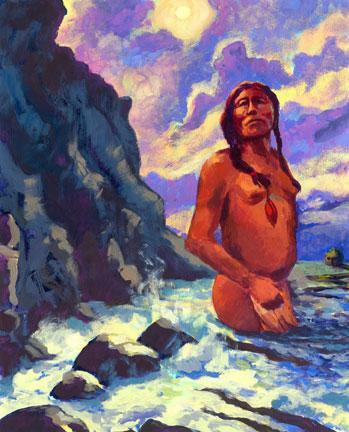 Squant the Sea Woman is featured in Native American mythology. She is said to have appeared to a man named Maushop and tried to convince him to follow her into the ocean. When he refused, she would conjure storms and giant waves. After Maushop caught his wife cheating on him, he followed Squant into the water, never to return. The African chitapo are dangerous and wily. They are said to lure people to their water by floating household objects on the surface. But once someone gets up close, they kill him by drowning him, or simply looking at him. While they are most often depicted mermaid-like creatures, they are also sometimes described as shadowy figures. Lorelei is a woman from German folklore whose husband left her. The men in her town fought over her, so she was locked away. Lorelei asked to see the Rhine River river just once more, and when she was taken to it she threw herself in. There she transformed into a water spirit that would lure sailors to their graves. The Iele are from Romanian mythology and live in ponds, rivers, marshes, and other bodies of water. Translucent and captivating, these magical maidens are best left alone, if you hear them you can go mute, fall into a coma, or just disappear. If they are angered they can posses people. Those possessed by the Iele can go blind, deaf, hurt themselves, or even kill others. The kappa are fabled to live in Japanese waters. They look similar to large turtles and have a dent on their head filled with water, a bit like a bowl. These dangerous creatures can drown people and come on land to attack livestock. If you ever come face to face with a kappa, just bow. It will bow back and the water from its head will spill, leaving it defenseless. The German nixies are water spirits similar to mermaids. They can assume a human form and come on land when they please, but are recognizable by their red, slightly damp clothing. Nixies are known to drown people, and their victims can be identified by the blue spots that are scattered on their bodies. The kataw are the most feared merfolk of Filipino mythology. Fishermen avoid these gilled men that rule the waters around the Philippine islands. They are known to fool fishermen by pretending to be humans in need of help. When the fishermen offer assistance, the malicious kataw drowns him. 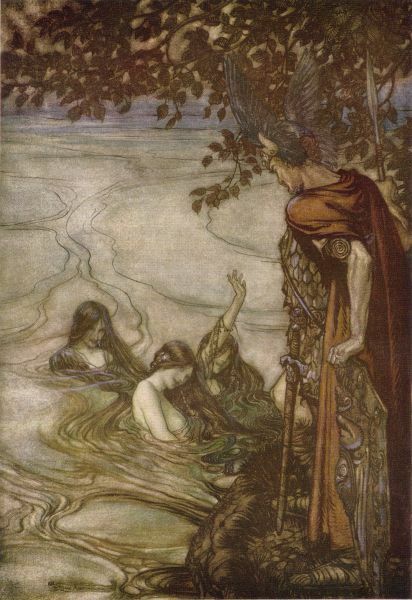 The story of Melusina traces back to the middle ages, when a French man named Raymond stumbled upon a beautiful woman- Melusina. They marry and Raymond agrees never to see her on Saturdays. After she gives birth to children with deformities, her husband spies on her during a Saturday and sees her in the bath, with a tail. She leaves him for breaking his promise and now roams France. It is said that she cries out right before a tragedy occurs.